It is called Empty Bowls because no one should have an empty bowl. 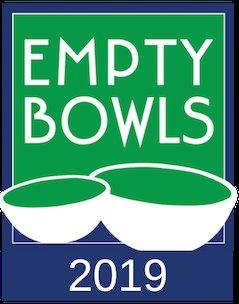 Empty Bowls Baltimore is a fundraiser to help us provide 15 programs in Baltimore City and Baltimore County that build better futures for those struggling with poverty and homelessness. Only $35 for a full afternoon of entertainment and unlimited soup tastings! Enjoy browsing through thousands of handcrafted bowls and choose your very own bowl to take home. Look for bowls made by your friends at various corporations, university organizations, scout troops and church groups.